Senior businessman talking at seminar. 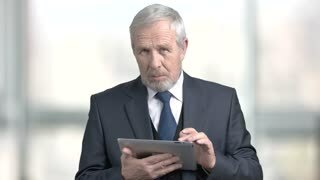 Elderly male executive talking with pc tablet on window city background. Interactive communication concept. Elderly businessman talking on blurred background. Senior executive reported at seminar. Speech of company leader. Elderly businessman using pc tablet at presentation. 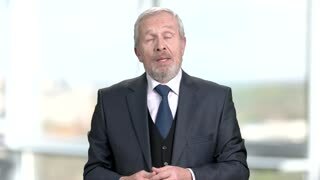 Confident senior executive man working at computer tablet during speech at seminar, green screen. Serious senior businessman using pc tablet. 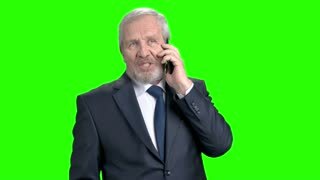 Confident elderly male executive working on computer tablet, chroma key background. 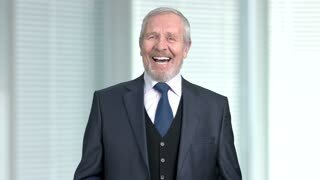 Elderly businessman laughing on blurred background. Senior male executive is laughing.